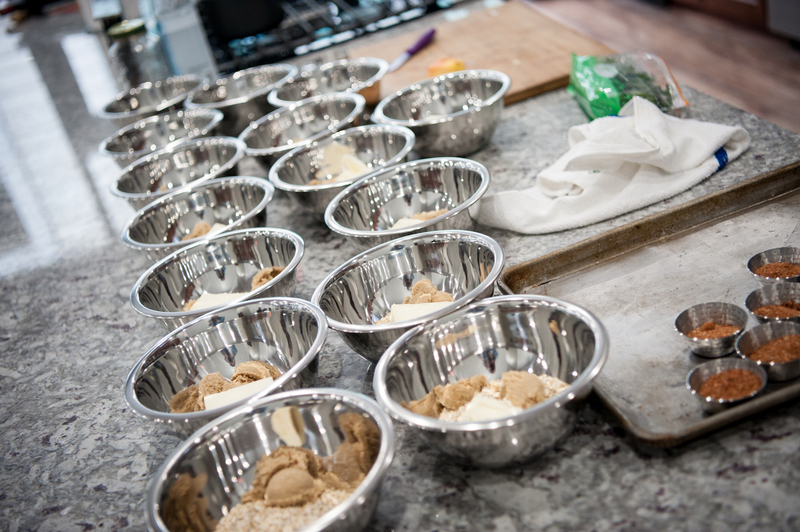 Familiar in your kitchen, but looking to sharpen your skills? Then this class is for you! Learn from a chef whose experience includes her education at the Art Institute of California in Culinary Arts, over 100 TV appearances on episodes of Curtis Stone’s Take Home Chef and even a stint as the personal chef for Academy Award Winner James Cameron. Chef Alison will take 6 weeks to impart the basic skills that all chefs should have in their culinary arsenal. A 6 week series guaranteed to have you cooking like a seasoned chef. The course will cover proper knife skills, stocks and basic sauce making, soups, salads and vinaigrettes. This class will also cover techniques such as sauteing, braising, slow roasting, roasting, pan frying, baking and in-home grilling. Chef will walk you through how to break down a whole chicken into individual pieces and teach you the secrets to cooking beef, seafood, chicken, vegetables and starches. Proper pie crust techniques will also be covered. Since you will learn on appliances like you have at home, you will fell much more comfortable in your own kitchen. You will be confident enough to try making new dishes and creating your own recipes. Class size is limited for optimal one-on-one instruction. Aprons, utensils, equipment and complete knife sets are provided.